Logan Rutledge is shown in front of the building he is renovating on North Central Avenue in New Albany. Logan Rutledge of New Albany is carrying on a family tradition of renovating old buildings for new uses. One of his current projects is converting a small brick building on North Central Avenue from a professional office building to a single family home. Dr. Herman Parks had the structure built to house his dental practice in the 1950s and used it for that purpose until his retirement about 25 years ago. Since then, the building has been occupied only briefly and has mainly been used for storage. This is an exterior view of the building being re-purposed from a professional office to a private home. Note the double cantilevered roof. The architect who designed the single-story building was clearly an admirer of Frank Lloyd Wright, certainly the most influential American architect of the last 125 years. Frank Wright famously scorned attic and basement spaces, and the building Logan Rutledge is repurposing has neither. Viewed from the outside, the most obvious Wrightian feature is the building’s double cantilever roof, two relatively flat roofs, one above the other. The renovation currently underway will, for the most part, preserve the exterior appearance of the building. 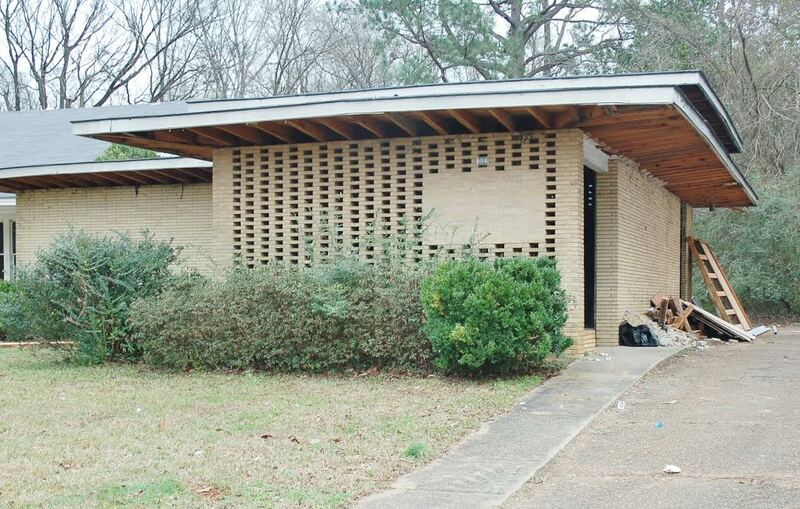 The building in New Albany has several features similar to ones used by architect Frank Lloyd Wright, but the nearest house actually designed by the controversial architect is this one, the Rosenbaum House, about 100 miles from New Albany in Florence, AL. This detail view of the portion of the Rosenbaum House shows its double cantilevered roof. Wright designed the house for Stanley and Mildred Rosenbaum. 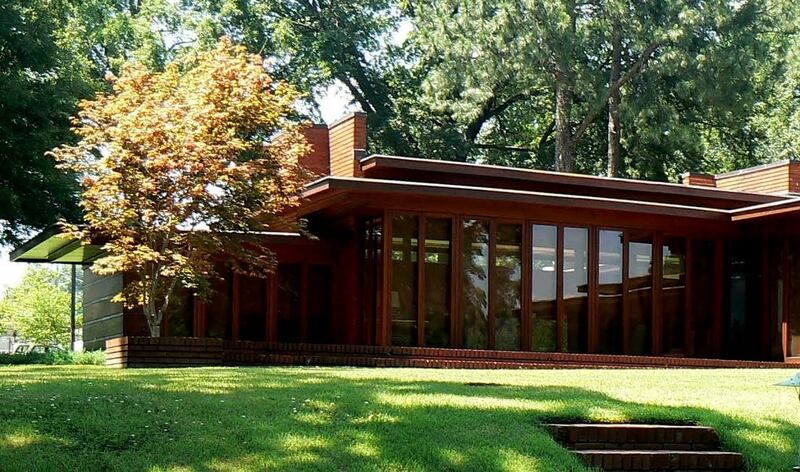 It was completed in 1940 and is considered one of the best examples anywhere of the smaller “Usonian homes Wright built around the country starting in the 1930s. Light emitting diodes (LED) lighting, which produces far more light per watt than conventional lighting, will be used throughout the house. The lighting and some other features of the house will be controllable by the owner’s smart phone or tablet device. Paint inside the home will be entirely free of “volatile organic compounds” (VOCs), which flash off potentially unhealthy vapors, even after the paint has dried. Water for flushing commodes will come from collected rainwater and the commodes themselves will be of the water-saving “dual flush” type. Hot water will be provided by an “on demand” heater. Kitchen, heating and air conditioning appliances will be very energy efficient. NAnewsweb.com will publish another, more detailed story about “recycling” this 60-year-old building into an environmentally friendly home when the project nears completion. I believe this house is on Main St. not N Central. This house is on North Central Avenue across from the parking lot of the Methodist church. Yes I remember where it is now. I was thinking of Dr. Beavers’ office on Main St.